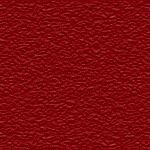 With all E-Packets there is no way to guarantee the color, as all monitors and printers are a little different. After making your payment on PayPal you will automatically be redirected back to RonnieBringle.com so you can DOWNLOAD your e-packet! When you download the PDF file be sure to save it on your computer! 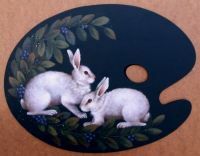 Bunnies and a painters' palette. The perfect match. Display on a decorative easel for a great look. You will be able to download this E-Packet immediately after payment. When you click on the "Return to RonnieBringle.com" button in PayPal you will be returned to the order acknowledgement page containing the downloadable file. Cherry Tea! Ready to drink and ready to paint. 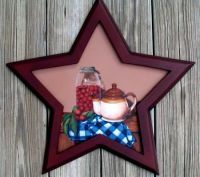 This delightful design is painted with Golden Open Acrylics on a 19" star, but would be suitable for so many surfaces. Also available as paper packet. Picture this beautiful color wheel reminder sitting on an easel in your painting space! The fruit design is painted on a 12" x 16" wooden painters palette. 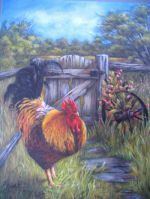 This rooster won't wake you in the morning but he will delight you when you see him hanging on your wall. Click on Details to see a larger image. When you download the PDF file be sure to save it on your computer. 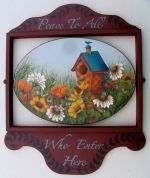 Your guests will feel welcome in your home and admire your painting skills too when you display this changeable welcome sign. There is a different painting for each season suspended in an old fashioned tavern sign frame. Add some color and fun to your home with this lively rooster! These bunnies will never get tired. 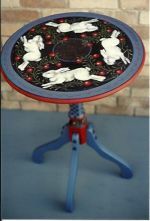 Paint them on a cute little table or any surface with a painted round inset.